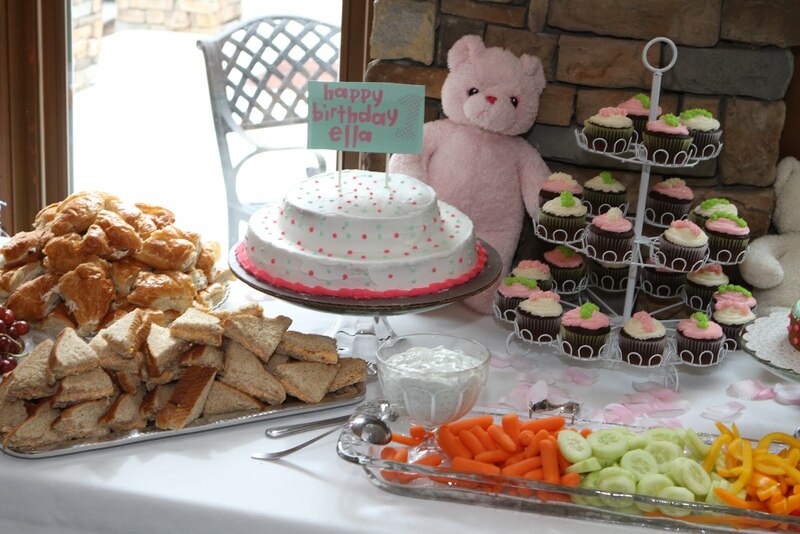 Last weekend (the 18th) we had a busy dance card of birthday parties. 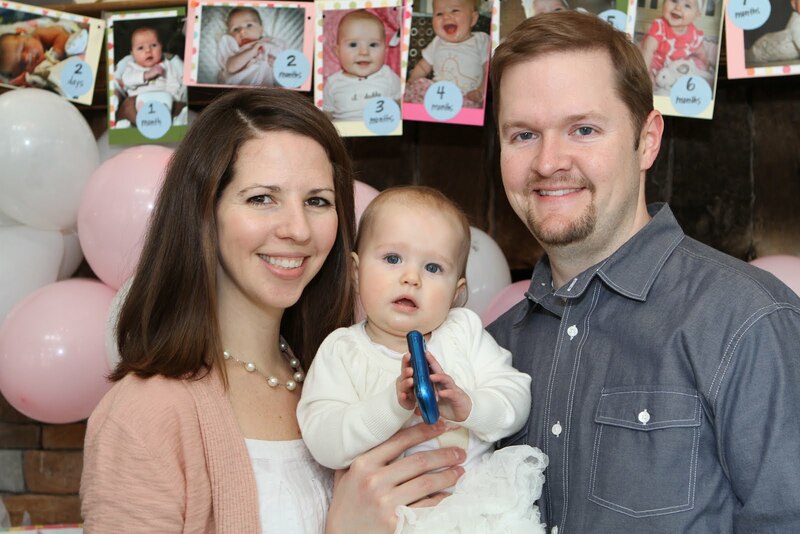 First up was Ella Kate’s first birthday party. 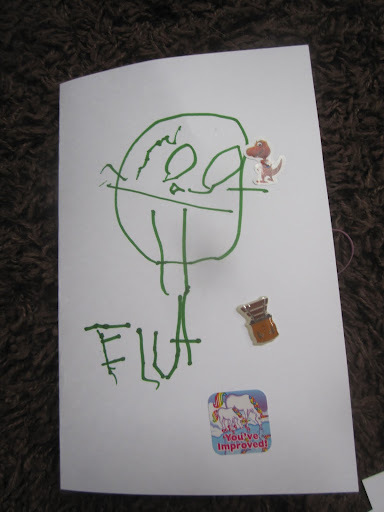 Lilli loves making birthday cards for her buds, so she made this one for Ella. It’s a picture of Ella on the outside, and she wrote her name. She did that completely by herself, with just Brent writing it on another piece of paper for her to see what letters make up her name. On the inside I think she drew a picture of herself and signed her name. Ella’s party was for family (and a few couple close friends) at the country club of a family member’s subdivision. Julia had a painting project for the kiddos to start the party out with as everyone arrived. 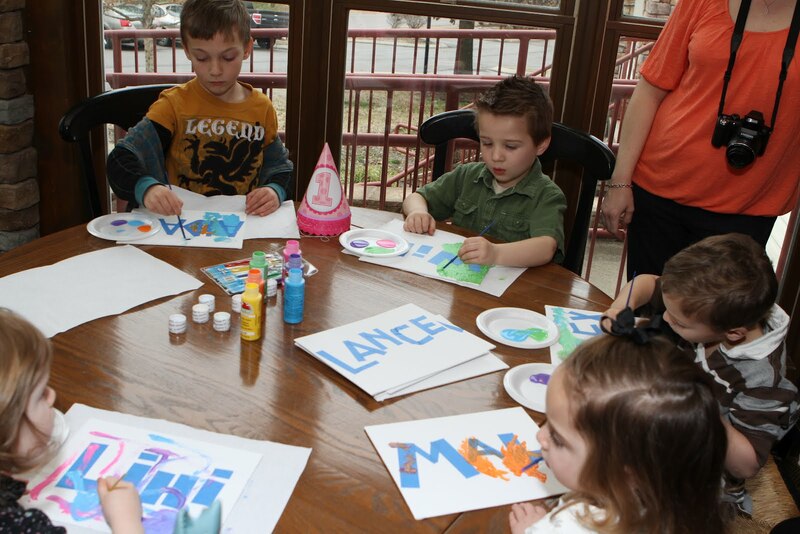 Using painter’s tape you spell out their names and then let the kiddos paint the entire canvas. Once the paint is dried you peel off the tape and it has their name on it in white. 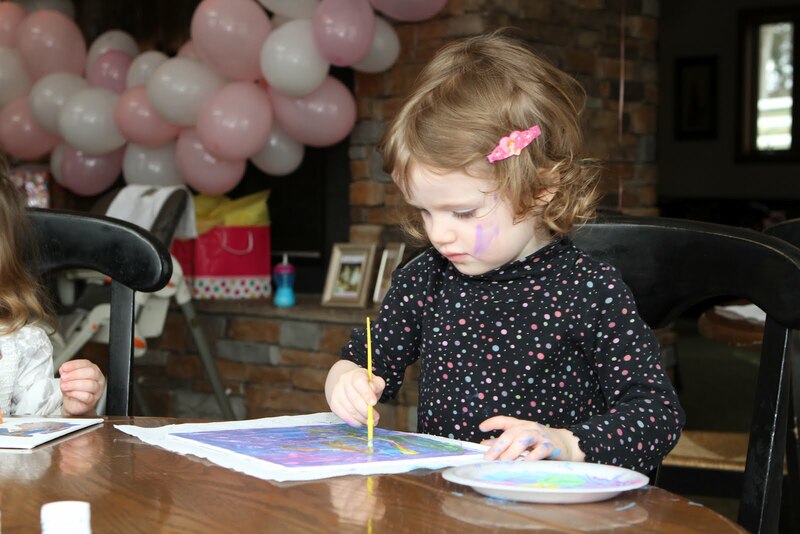 Lilli gets way into her painting projects and did a great job painting the whole thing. We set them off in another room to dry and I completely forgot to grab it on our way out but I’m sure it turned out cute! When I pick it up from Julia I’ll post an after pic. After we ate it was cake time. 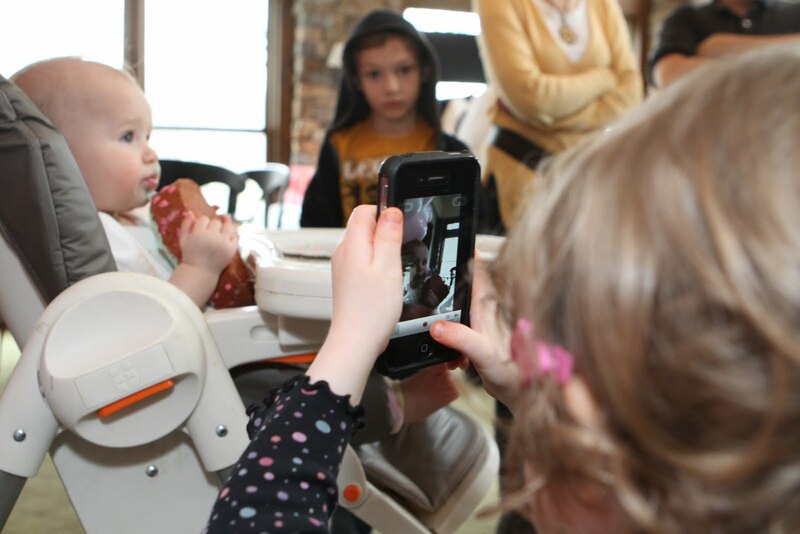 Check out the paparazzi mob!! Now that’s some pressure. 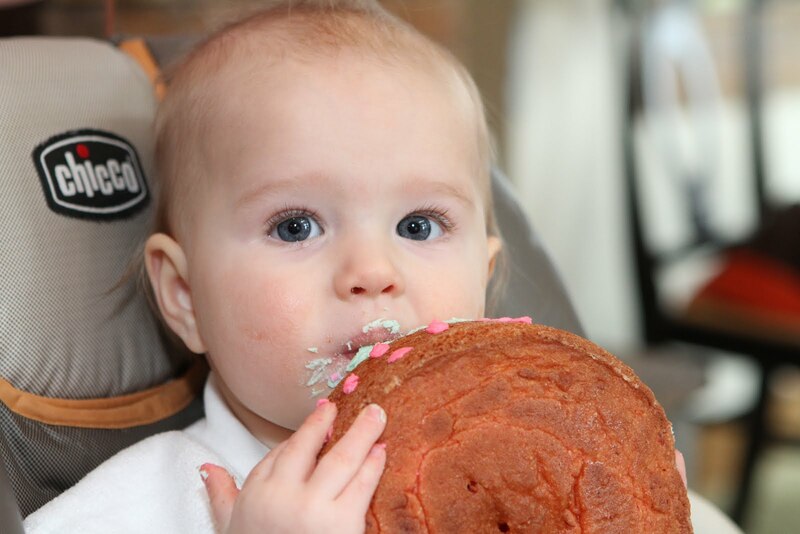 She loved her cake and picked the whole thing up and gnawed around on it for quite a while. 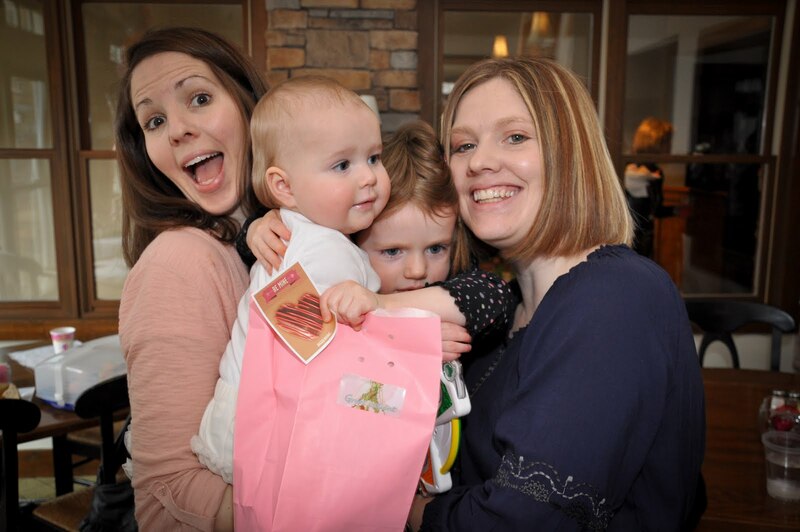 That’s probably one of (if not the) best cake reactions I’ve seen! And trust me, we go to a LOT of parties. Brent was snapping some pics and Junior wanted to get right up there with him and was snapping along. She loves to take a picture or two hundred with my phone. The view from Brent. She does a great job framing up. 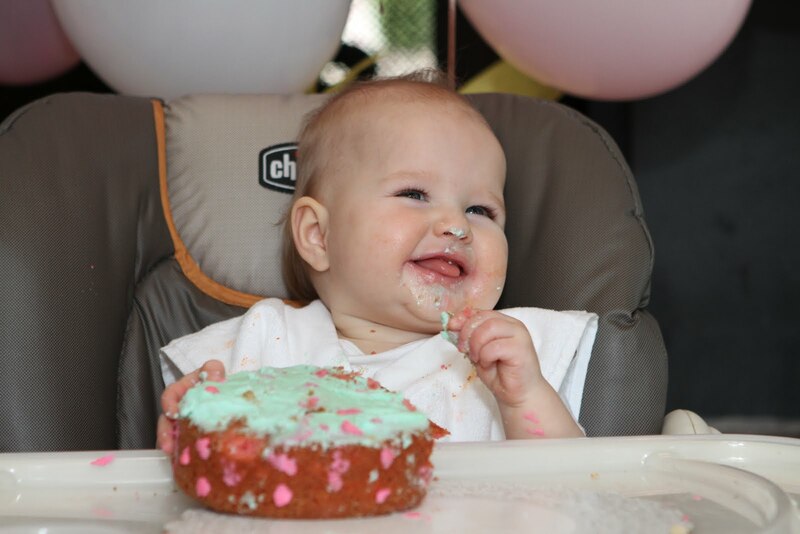 I still can’t believe she’s already one! Present time! 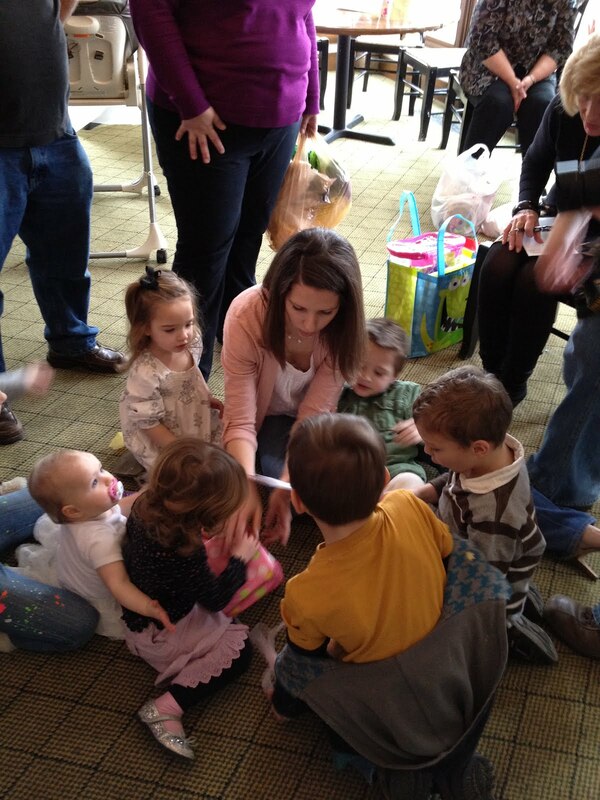 Otherwise known as all the big kids mobbing Julia and opening all the gifts while Ella occasionally got to see one of her new toys. 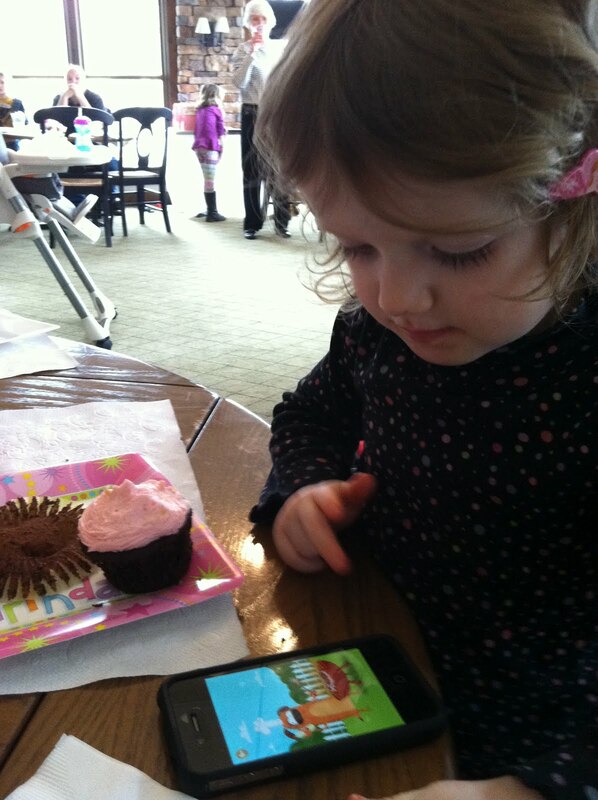 Cupcakes and apps. This girl loves her apps. Before we left we attempted the still elusive good pic of the four of us. Still it hasn’t happened. I stole this one off of Adam’s pictures of the party. At least Lilli is giving her a good hug and not strangling her! 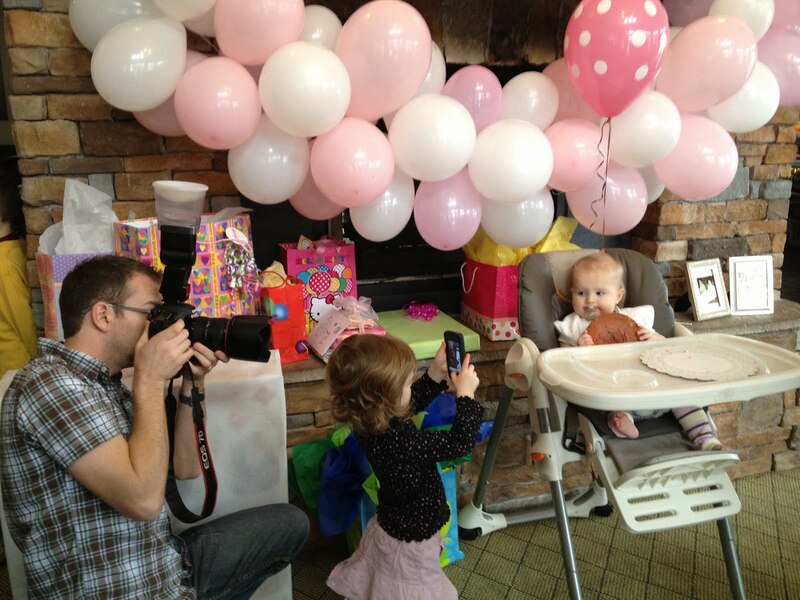 Happy Birthday Ella Kate Roses! 2 Responses to Happy Birthday Ella!